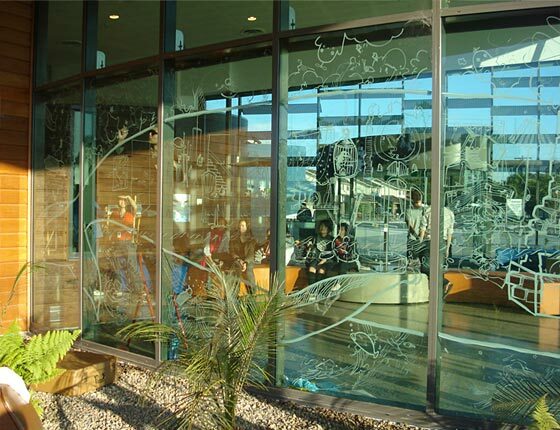 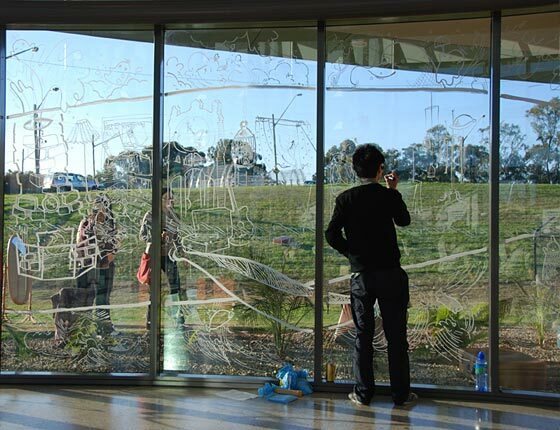 Glass Box was a free live drawing performance on the windows of the Cabravale Leisure Centre on 31 May 10am-4pm. 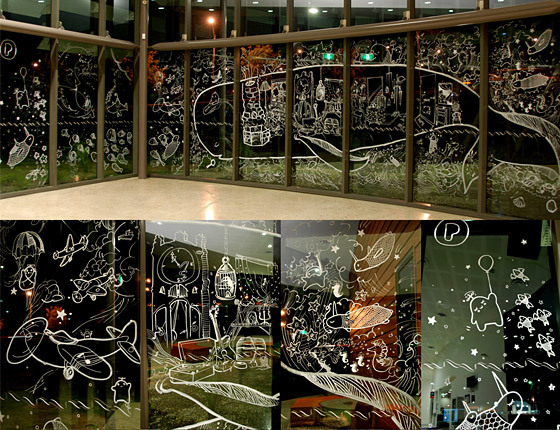 The event saw six artists from Popper Box simultaneously performing live drawing for the audience. 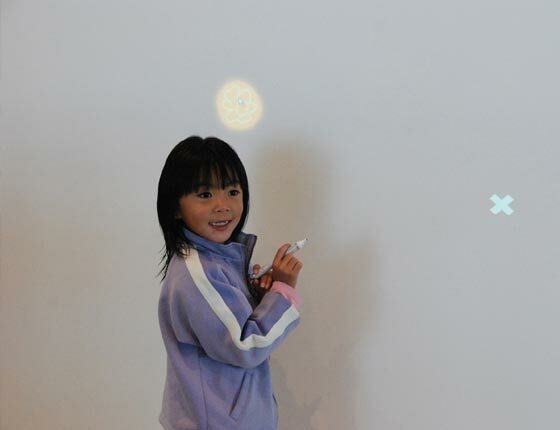 The event also featured a digital component where audiences used LED pens as "magic wands" to create trailing light patterns across walls. 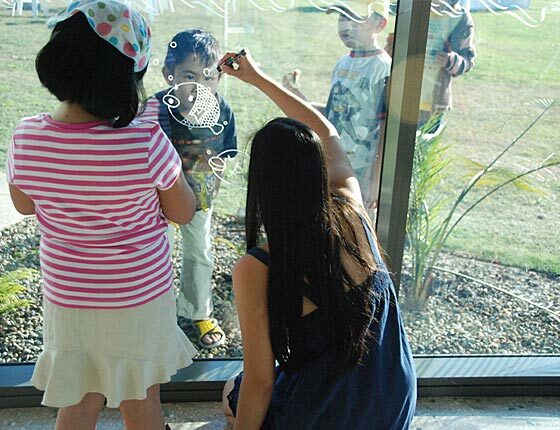 Visitors were also invited to share their stories of Cabramatta and Canley Vale on a giant map and "create" the city in their imagination. 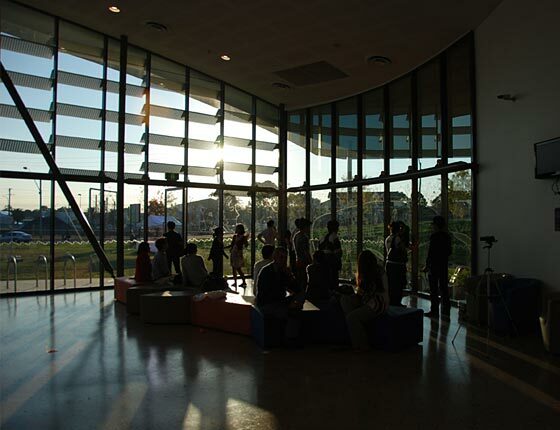 More photos here on our Flickr account.